Title insurance is one of the few types of protection policies available to homebuyers and one that is often overlooked because of its optional nature. Because title insurance is purchased simultaneously with the home, it can be very easy to forego when looked at alongside all the additional fees that are associated with purchasing property. This is typicaly not advisable, as title insurance is one of the smartest forms of protection a homeowner can buy. 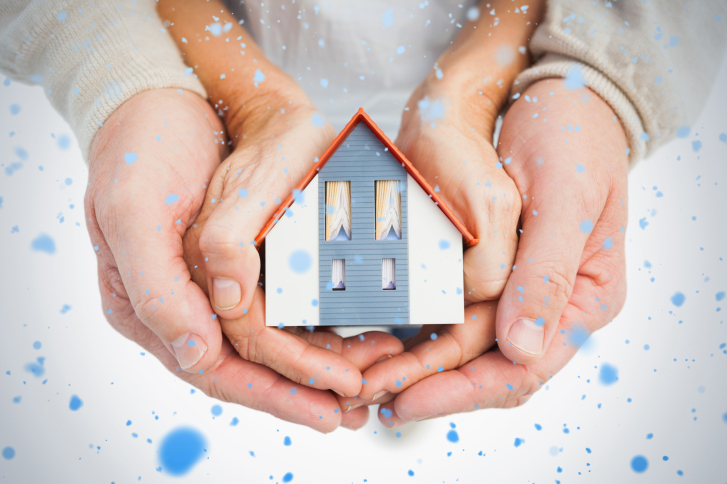 Here are just three reasons why every purchaser should get title insurance. Title insurance protects the owner of a home from any claim made against their property, whether or not they are responsible. These include unpaid mortgage balances on the home, an improper foreclosure or any form of real estate fraud perpetrated by the seller. Fraud is more prevalent now than ever before and has started to gain momentum in real estate as well. Forgeries are easier to create in the electronic age and criminals take advantage of today’s ‘do-it-yourself’ attitude to sell property they don’t actually own to unsuspecting victims. Countless records are now made public online for low one-time payments to access them. But does anybody really know what they should be looking for? Title insurers are experts at finding anything suspicious with a home and researching exhaustively to make sure everything about the transaction is legitimate. And if it’s not, the insurance still covers the buyer for any losses incurred if they are ordered out of their new home should a claim be made against it. Then they will research the claim to make sure it isn’t a fraudulent one. Although it is a large fee, title insurance only needs to be paid for once. Unlike other insurance policies that are either monthly or annually, title insurance is a one-time fee that is acquired at the time of closing. Most mortgage lenders require that their title insurance policy is paid for by the borrower anyway, so it’s not a giant leap to take out your own policy the same time. Title insurance will also protect against mortgage fraud or any unpaid mortgages the home already has. Although title insurance is strongly recommended, it is a good idea to speak with a professional about it so that any questions you have may be answered. With all of the time and money that can go into moving, spending money on one more thing can seem like a bank account drain. However, when it comes to selling your home, investing in a professional photographer can mean the difference between getting a buyer and making a sale you’ll be proud of. If you want to get the deal your house deserves, you might want to consider the skills of a professional who will make your house look like someone’s dream home. 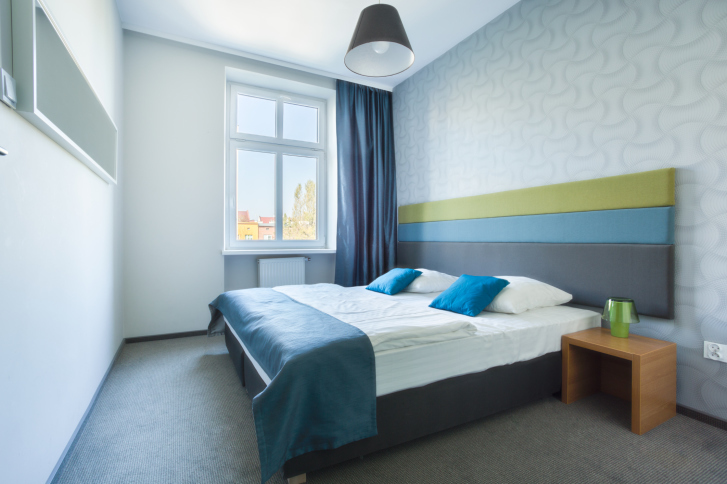 If you’ve ever noticed how dull a room can look when it’s cloudy outside, you’ll quickly realize how important the right lighting can be in complimenting the appearance of your house. A professional photographer will be able to determine what hours and what types of flash will work to highlight the rooms in your house the best. Not only that, they will go above and beyond what your smart phone can do to correct the issues that can impact a potentially perfect picture. 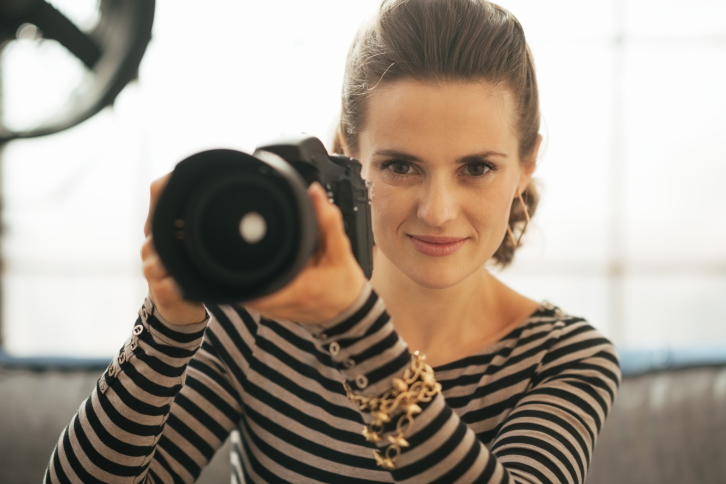 In the right light, it’s possible that you’ll be able to get some great pictures of your house on your own, but a photographer will be able to go beyond that. It’s a proven fact that people are most often lured in by façade photos when searching for homes online, and it’s these the right photographer will be able to perfect. By using a professional who understands what size of lens to use to compliment your home, your photos will easily optimize the way your home looks. Beyond the panorama shots that might convince a potential buyer into considering your house for their next home, a professional photographer may be able to hone in on details that differentiate your house from the rest. With their keen, curious eye, they’ll not only notice intricate details, they’ll be able to highlight them in a way that makes them look interesting, expert and one-of-a-kind. They’ll also be able to beautifully capture the special features that you love about your home! It can be tempting to be cost effective when it comes to showcasing your home, but just like wedding photographs, you don’t want to skimp on real estate images. If you’re interested in learning more about positive ways you can highlight your home, contact Nash Carey at 602 405-3092 or Bud Carey at 602 405-3099. Where a living room and a bedroom can often be fixed up with a layer of paint, the costs that can go into updating an old kitchen can be quite prohibitive for a new buyer. Instead of a space they’ll just have to renovate, buyers are interested in a sleek, modern looking kitchen with stainless steel appliances that offer modern conveniences. Technology has become so ubiquitous these days that it makes more sense for buyers to invest in homes with smart features. From thermostats that can be adjusted with mobile devices to doors opened via Bluetooth, smart features are a huge part of what makes a modern home. The features that grab a potential buyer can change all the time, but certain popular trends will not be going out of style anytime soon. If you’re curious about trends that will be hitting the market in your area, contact Nash Carey at 602 405-3092 or Bud Carey at 602 405-3099 for some inside tips. If you’re moving from a large home into a smaller house or condo, you’re probably looking forward to enjoying a lower utility bill and not having to do as much cleaning. But before you move, you’ll want to take certain precautions to ensure that you’re not overwhelmed. A smaller home won’t have as much room for your belongings, which means you may need to get creative. Here’s how you can downsize without losing your mind. Before you do anything else, choose which of your belongings are coming with you. Unless you’ve habitually been getting rid of things you no longer need over the years, chances are you have a large stash of things you’ll never use again. That’s the kind of clutter you’ll need to eliminate before moving into a smaller home. The obvious exceptions would be anything of significant sentimental or monetary value, but you’ll want to get rid of lots of your everyday objects – for instance, there’s no reason why you need three soup ladles. Having trouble deciding what to throw out? Here’s a simple rule of thumb: If you can’t remember the last time you used it, you probably don’t need it. Most homeowners nowadays have the luxury of large storage spaces like basements or attics – but if you’re moving into a condo or a small starter home, storage will be at a premium. And that means anything stored in your basement, garage, or attic will probably need to find a new home. You’ll want to look for a storage solution earlier rather than later. Perhaps you could rent a storage locker in your neighborhood, or let children or relatives hold onto your belongings until you decide what to do with them. When the day comes for you to move into your new home, you’ll want to try to find the best configuration for the space right away – before your new home is filled with boxes stacked six feet high. Before you do anything else, move your furniture and other large items into the space first, and get them set up so they’re out of the way. Once all of your boxes are in your new home, put storage items away before anything else – it’ll help you avoid unnecessary stress and sorting later. Downsizing can be stressful, but with a solid plan and a great real estate agent, you can find a smaller home and move in without issues. Call your trusted real estate professional for more great tips on streamlining the moving process. You’ve found it: A large new home for your family. It’s in the area of the city that you love, with the perfect architectural style and lots of room for entertaining guests. It would have been perfect for you, but there’s only one problem – you’re not quite ready to pay the price the seller is asking for. You’ll have to put in an offer below the seller’s asking price – a risky move. Although you will be rolling the dice with an offer below asking price, there are ways that you can increase the likelihood that your offer will be successful. Before you submit your offer, use these three strategies to make it more appealing. If you’re going to ask for a lower selling price, it helps to show that you’re willing to compromise on other terms – that way, you come across as a reasonable human being and not a bargain hunter. By offering to give the seller the better deal on other terms, you’re showing that you want to close a sale – and the seller will see you making an effort to come to an agreement and respond in kind. There are several ways to do this. When you submit your offer, see if you can negotiate an arrangement that has you paying the closing costs or a closing date that works better for the seller. Or, offer to make the down payment in cash or give the seller a larger deposit. If the home you want to buy is priced well above fair market value, you can easily use that to your advantage and turn it into a benefit for the seller. First, you’ll want to look up property values for similar homes in the area. You should also investigate how long it takes homes in that area to sell and the difference between the average asking and average selling price in the area. If you can show the seller that their asking price is above their neighborhood’s average sale price or that their home has been on the market longer than the average home (or both), then you can make a strong case for a lower offer. Submitting an offer below asking price can work, but it’s not something that should simply be done on a whim. It takes careful planning and a great strategy to actually win a bid if you’re coming in below asking price. For additional strategies and for buyer representation contact Nash Carey at 602 405-3092 or Bud Carey at 402 405-3099, we can assist you in making the right offer.